More than just fencing, a flexible building material. Livestock panels are a heavy gauge galvanized welded wire fencing material. They are also commonly called "cattle","hog", or “sheep” panels. They are almost a must have on any new farm or homestead. They make the acquisition of livestock a much easier process and are an affordable option for smaller spaces. Their rigidness and ability to take abuse makes them idea for goats, pigs and other animals that have a tendency to stand on or lean against your fencing. We will explore some of the pros and cons of livestock panels and then look at some of the creative ways you can use them to keep your animals and garden safe and happy. They can have sharp edges where the panels are cut. Harder to transport without bending. So having a good relationship with a friend or neighbor who has a 16" trailer is a major plus. Once bent to a certain degree the livestock panels will maintain a bit of the bend. The most obvious use of cattle panel is to use them as intended and establish a rigid and easy to setup animal enclosure and fencing system. They can be moved by one person (though 2 people does make it a lot easier) and secured with t-posts and wire in a short amount of time. With just 4 panels you can create a fairly sizable space to keep an initial set of goats or other small livestock secure and protected. They are also portable enough that your can move them every so often for rotational grazing or used for brush control and fire lines. For the beginning homesteader or someone looking to get started with livestock, these 16' segments make quick work of pen setup and are very affordable, ranging from $25 - $60 per panel. 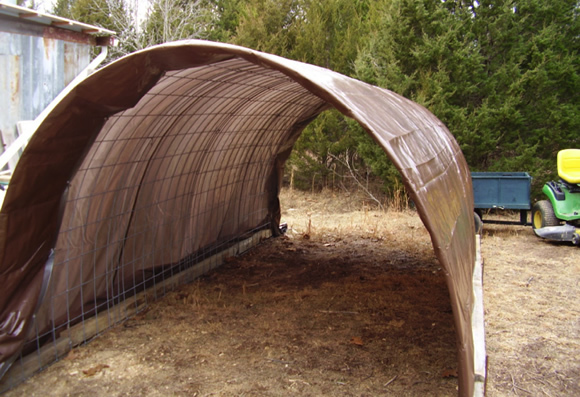 With some t-posts, medium gauge wire and the right sized tarps, one can setup a low cost shelter for animals, hay, tools, and more. One of the nicest aspects of this type of shelter is that is goes up very quickly and does not require any building permits to install. This flexible design can easily be made longer by adding additional panels and tarps. The final cost will of course depend on the length needed and the quality of the tarps. Keep in mind snow load and wind conditions in your area when setting up a structure and securing it to the ground or a base. As mentioned above, there can be sharp edges on the ends where the panels are cut to length and you need to be mindful of these when attaching a tarp or covering to keep from poking holes through your covering material. Covering selection is important as transparent materials can cause a greenhouse effect thereby making the shelter uncomfortable to work in. Along similar lines as the shelters mentioned above, is the potential of using livestock panels for a greenhouse. 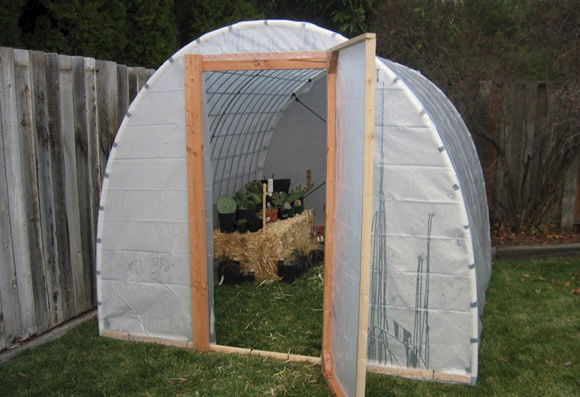 With the addition of a framed based, some framing for a door, and some greenhouse plastic, livestock panels can easily be used for a hoop house or greenhouse type structure. With a simple back of a napkin calculation, one can find that a 8x20 foot greenhouse can be constructed for less than $200. This is a very affordable option to get spring starts going or to extend your growing through the fall and winter. A greenhouse structure of this type could also make a great enclosure for a aquaponic system where climate control would be favorable. Ventillation - humidity and airflow are vitally important to a healthy environment - it can get hot fast in closed up greenhouse. Snowload - support beams may be necessary in heavy snow load areas. 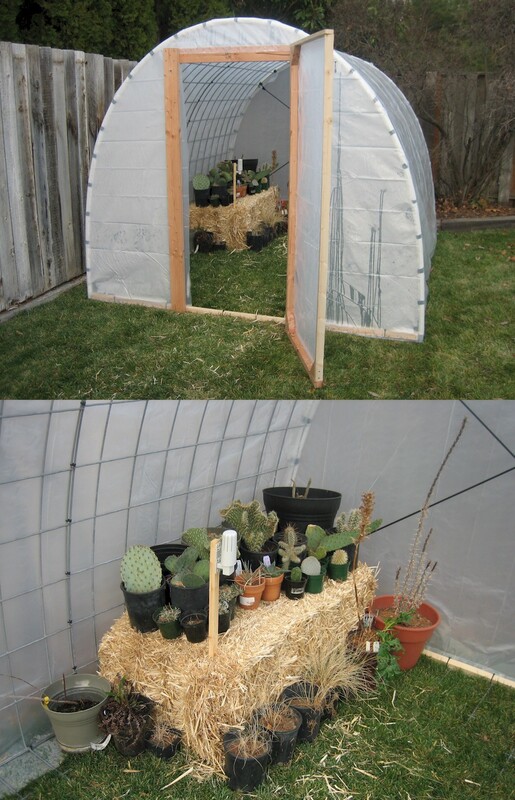 Wind / Anchors - make sure your neighbor does not get a new greenhouse in their yard on the next windy day. Plastic Selection - Try to get a plastic covering that has a 3-4 year rating. 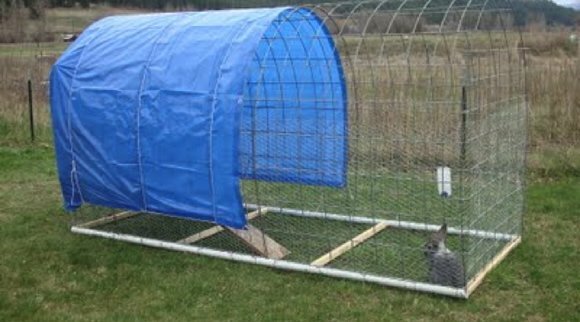 Like the permanent structures used for hay and tools, and with the addition of a framed based, livestock panels can be used to build portable chicken and rabbit tractors. 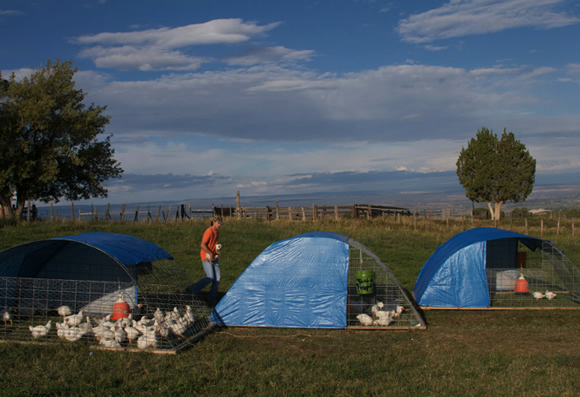 If you have the space to provide this mobile option to your chickens or rabbits, a rotational grazing method helps keep animals on new grass every day and also protects them from predators and the weather. Wind: if you are in an area where high winds are a problem, consider adding a method to secure your chicken tractor to the ground. An open tarp can be a powerful wind catch and you don’t want your structure blowing over and killing birds. Access. If adding doors and other items, weight and portability can become an issue. Wheels / skids may be necessary. 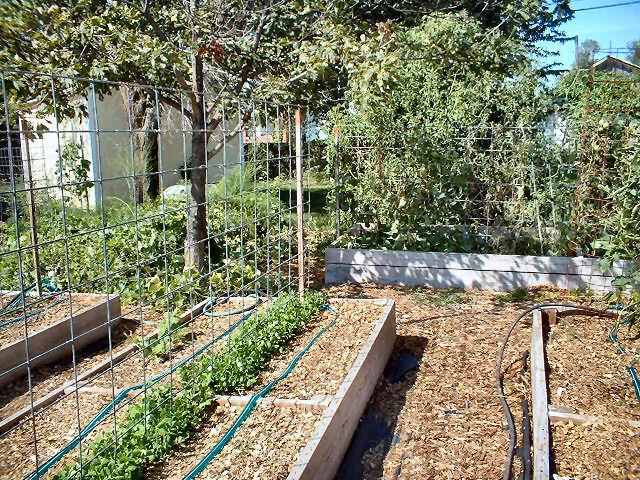 If you need a sturdy and supportive structure to trellis plants or create an arbor that leads into or incorporates into your garden, livestock panels can handle the job. 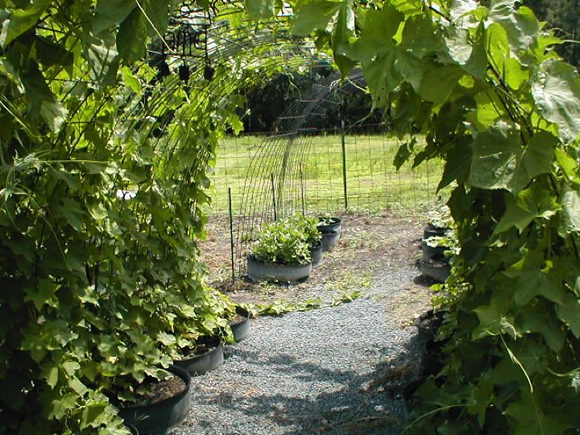 They can give a beautiful and supportive arch that will allow plants to grow up on and create covered entryways and simple to setup short trellis segments of crops like pole beans and cucumbers. If the panels will need to be cut down to size, this may require a good hacksaw or heavy-duty bolt cutter. 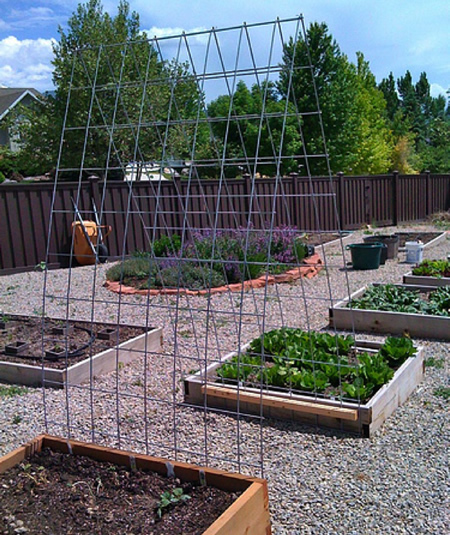 Keep in mind the space and support requirements for trellised plants and their weight. Be mindful of where the trellises are placed as they could reduce the sun exposure of other plants that need the light. A general rule of thumb is to keep high growing trellised plants on the north side of the garden, to maximize the sun in the south (at least for us in the northern hemisphere). I hope this article has given you some inspiration and design to build with this highly "flexible" material and help get that new pig operation going, that additional row of heirloom tomatoes growing, or just a simple shady spot (hops arbor) to think about the next resiliency project you are planning. Please post pictures and ideas of finished or upcoming project. 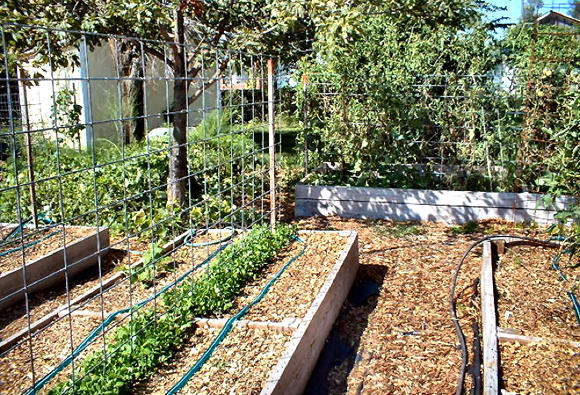 We use stock panels as trellising in our garden but I had not thought of these other fantastic ideas! Love the quickie greenhouse frame and grape arbor. The folks at the store where we bought ours were happy to cut them in half for us once we had purchased them. 8 ft panels are much easier to manage than 16 ft panels and fit in our open trailer easily. I was unaware of these things while I've been looking for something just like them. This site continues to be a great source of practical info and products. Thanks Jason. I visited my local TSC store where livestock panels are sold. As you noted, all the panels come in 16' lengths. The woman I spoke to said they could bend them into "teardrop" shapes that would fit into the bed of a pickup. Do you have any experience with this method of transport? As you suggested, I'm afraid they would be permanently bent out of shape for other uses. I often bend 16' panels into "teardrops," and then un-bend them, and they come out just fine. I find the 16' length unwieldy. I generally cut them in half near a vertical, and then I use vice-grips to bend the horizontal bits into a loop around the vertical you just cut off from, and now you have an 8' hinged panel that opens up to just an inch or so short of 16'. This means that they now stack and travel in a pickup bed, or they can be easily carried by a tractor front-loader, or even easily carried by one person without whip-sawing and digging in. Also, they make great goat feeders, at least if your goats have been disbudded. (Horns can be a fatal problem with cattle panel!) Goats tend to waste a lot. We cut brush from the woods, or even get environmental-types to bring it to us. But the goats would walk, poop, and pee on it, and then lose interest, wasting 90% of the forage. So, we take cattle panels that we've hinged (as mentioned above) and connect them together in "V" sections so that the widest part is no further than a goat can reach from either side. Then we nail them to the ground with 2' sections of "T" post. 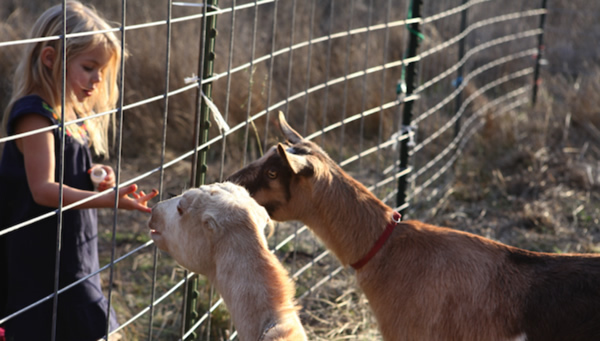 Now the goats stick their head through the panel and eat, without wasting nearly any of it. You can easily zig-zag the hinged panel to make a free-standing fence. They can be placed in the back of a standard full sized truck bed by bending them into a big U or tear drop. We recently had our landlord for our rental property pick some up for us at the local feed store (we rent from awesome landlors) and he was able to fit 10 bent panels in the back. They are under a bit of tension and can be a bit tricky to get in and out but it works. Just have to be careful nobody gets wacked with one coming out of the truck. They come out almost complete straight but you might see a slight bend to them. We have also been able to hire a person that had a 18" trailer (asked the feed store manager for a reference) and was able to get them to the house much easier and unload them easier. Our family has only 1 car (Rav4 SUV ) and having the ability to get assistance was well worth the $50 for the delivery. As Bytesmiths commented, cutting them is a great idea and I think I might have to try that approach for easier transport and setup next time. Good luck with your panels. If you have a canopy -- and you aren't in love with your paint job -- you can successfully carry these on top. I transported them 300 miles, over two ferries, this way. My canopy had brackets on top for a boat or canoe, which helps greatly. I used a couple 2x4s on the front to keep them from drooping into the driver's critical field of view. It was garbage day, and I scavenged a couple old rugs to put between the panels and the roof of the cab. Then I cinched everything down tight to the canopy rails and the truck bumpers with rachet straps, and drove 300 miles with no mishap -- even had a couple cops pass me without taking interest! The biggest mishap was getting them into Canada. Their value fit in our allotment for personal purchases, but the guy kept referring to them as "rebar" and asking what commercial construction project they were for! We finally pointed out our agricultural plates, and he let us through. Jason: when you cut them close flush with a vertical bar near mid-way, then take the long bits and gently bend every other one slightly down, and every other one slightly up. Then use vice-grips to bend each hook into a "J" shape, as far as the pliers will go while holding the wire perpendicular to the plane of the panel. It's useful to bend them away from the side that the verticle wires are on, that way, they fold perfectly flat. It might be useful to put a bit of painter's tape as a length gauge on the vice-grip jaws, so you can make bends of uniform length. If your "J" bends are different by as little as 1/4" or so, they won't hinge so nicely. Then loosely assemble the two halves, so that the top and bottom horizontals go under and over (respectively) the top and bottom horizontals of the close-cut panel, and follow the alternating pattern on down. This makes a nice tight hinge without the "slop" you'd get if all the horizontal ends were bent around the same side. Here's the hardest part: now open your vice grips and close up the "J" hooks as tight as you can. Don't worry about "too tight," as you'll have lots of leverage and they'll hinge easily. This is my second attempt to post this message. I don't know what happened to the first, so it may pop up at some point. My only point was that my first priority is a greenhouse, and am glad to hear I can carry 16' panels in my pickup. Also, I like the hinge idea and will doubtless use it when I start using them for fencing. What I didn't realize at first is that different brands of panels are created of different gauges of wire. The Tractor Supply panels are much thinner wire than the ones from my local feed store. Now I actually like the thinner gauge panels because I use them as temporary gates across a 16' perimeter pasture corridor (yes, I made it that dimension for this reason) and I have to muscle them around a lot. However if you want panels for something needing greater strength I'd suggest paying the extra money and getting them from a different source. I wouldn't have known this without having panels from different sources side-by-side and noticing the huge difference. The heavier ones do not bend as well as the other ones and so may not fit into a pickup that way. I've put them longwise in the bed and over the cap with padding on the cab but it sure is hard to unload without scratching a little paint somewhere! I've used them for gates, lambing pens, tree protectors in pasture corners, and trellises. To protect a tree in the corner of a pasture I put 2 eye bolts into the fence posts that brace the corner fence post. I put one end of the panel against the post and slide a piece of rebar down through the 2 eye bolts to secure the panel. Then I bend the panel so it gets to the other side bracing fence post and repeat the process there. You can also see a panel manger made here. This was bent using 2X4s and body strength. Other posts show other uses for the panel in the barn. Okay, gonna try to post some images showing the hinged panels in action. First: the big view of a simple, free-standing feeder using hinged panels in a zig-zag shape for stability. When you join the wide part of a "V" to another panel, make sure the thickness is no longer than a goat can reach, or you'll end up with wasted feed left in the middle. Second: a closer view of the panel hinge. With the horizontals on the outside, the hinged panels will lie flat nicely for storage. keeps the parts from sliding up and down. Finally: detail of an individual hinge joint, showing how the "J" hook is bent around the vertical of the other panel. One could conceivably create hinged panels of arbitrary lengths by using this technique on both ends. But a strong person can't really heft more than a couple of these at once.